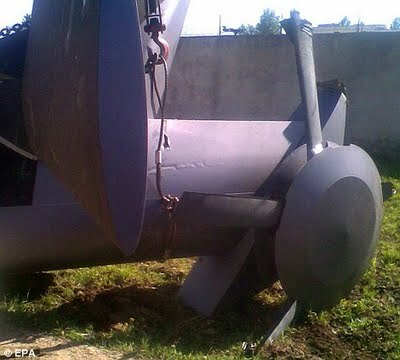 Mystery Low-Observable/Stealth Helicopter Used for Usama Bin Laden (UBL) Compound Kill Operation/Raid: Is it a Stealthified Sikorsky MH-60M Black Hawk Helicopter? Here’s what we know… | DefenseReview.com (DR): An online tactical technology and military defense technology magazine with particular focus on the latest and greatest tactical firearms news (tactical gun news), tactical gear news and tactical shooting news. It’s of course assumed that the main rotor also had extra blades and “hub-cap”-type cover over it, and that the helicopter featured retractable landing gear to minimize the overall radar signature of the aircraft. It’s been speculated that there were low-observability/stealth lessons learned from the cancelled Sikorsky/Boeing RAH-66 Comanche reconnaisance/attack helicopter program that were likely applied to the low-observable/stealth Black Hawk helicopter. The Comanche helicopter program was largely about low-observability maximization. The silver radar-defeating/radar-absorptive paint may also perform an anti-thermal/IR-detection function, a la Intermat thermal/IR camouflage/stealth paint/coating tech (unconfirmed/unverified). While a stealth MH-60 series Black Hawk helicopter is interesting, DefenseReview (DR) is curious as to whether or not the Special Operations (SPECOPS) community and Sikorsky have also developed an even more advanced compound heliocopter version of the aircraft (like a stealthified Sikorsky/Piasecki X-49A Speedhawk compound helicopter, for example), or one that incorporates and employs NOTAR anti-torque system technology, which would presumably obviate/negate the need for a stealthified tail rotor. The Sikorsky/Piasecki X-49A Speedkhawk compound helicopter, which utilizes a Sikorsky YSH-60F Seahawk helicopter as the base airframe, can fly over 200 mph, and utilizes a vectored-thrust ducted propellor (VTDP) system, instead of NOTAR. Remember, the faster you are, the more survivable (i.e., harder to kill) you are. It would seem logical that the Boeing (MH-47G?) Chinook helicopters that were used in the OBL/UBL kill op/raid were also stealthified to some degree, but that’s purely speculation on Defense Review’s part. The Boeing MH-47G Chinook dual-rotor helicopter is a highly-modified/updated/upgraded version of the Boeing CH-47D/F Chinook transport helicopter. While the DEVGRU assaulters/operators did a nice job of destroying the main fuselage of the downed helo, the intact tail boom and rotar section/wreckage arguably constitutes a major OPSEC (Operational Security) problem, as it provides the world, including our enemies, with evidence of what was no-doubt a classified low-observable helicopter’s existence, as well as some rather obvious visual clues as to how the helo achieves it’s low-observable effect–that is unless it was deliberately left behindfor intimidation effect (unlikely) or to misdirect them as to the U.S. military’s actual low-observability/stealth technology/capabilities (also unlikely). Did the DEVGRU operators not have enough explosives to finish the job? Did they run out of time? Or, did they purposely leave the intact portion of the helo behind for the purpose of misdirection? Regardless, the mission debrief and/or AAR (After Action Report) must have been pretty interesting. 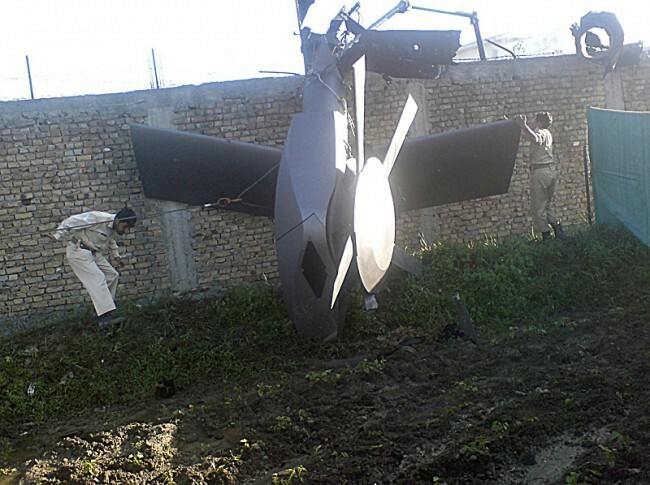 If leaving the intact tail boom and rotor was indeed unintentional, it was a fairly high OPSEC price to pay, even for killing Bin Laden. If anyone out there has additional (credible) information on the U.S. military Special Operations (SPECOPS) mystery stealth helo or related projects/programs, we would very much like to hear from you via email. You can reach DR via email at defrev (at) gmail (dot) com. If you’d like to comment on this story, please don’t hesitate do so below, as we’re always interested in our readers’ thoughts and opinions. Next: Hyde Definition PenCott Multi-Environment Camouflage Patterns (PenCott-GreenZone, PenCott-Badlands, and PenCott-Standstorm) Go into Production: Digital Combat/Tactical Camo for the 21st Century!